this candle stand is unique and can very well be incorporated as a decorative piece. 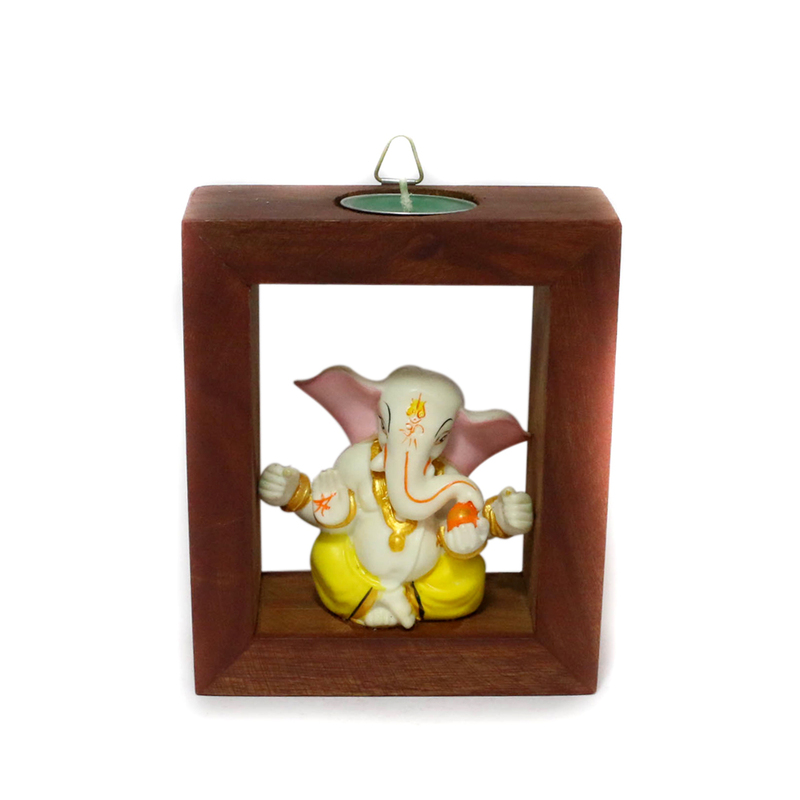 It has a square shaped wooden frame and at the Read More..center of this, idol of Lord Ganesha is stationed. The idol has a slightly tilted head and is in white colour. The Lord is affixed in a seated position within the frame. Show Less..